Open the Terminal program. 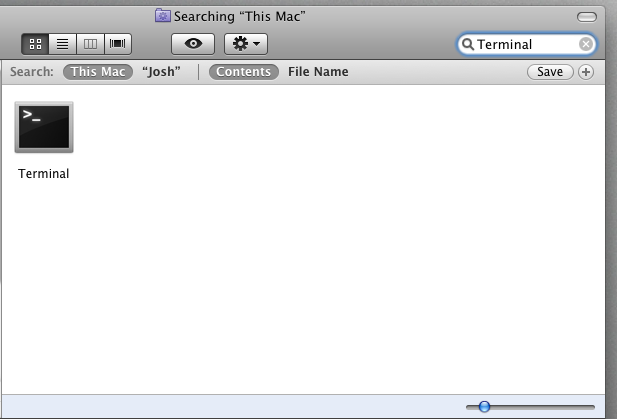 You can find it using Finder. 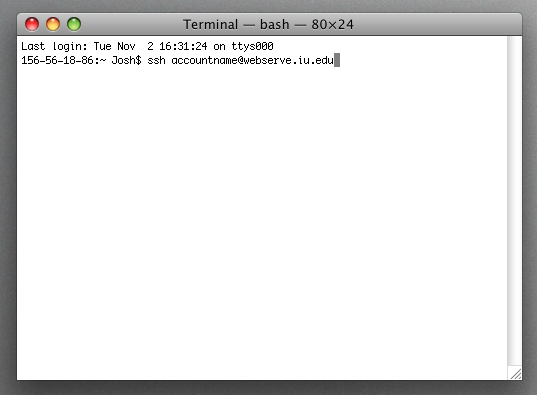 Type ssh account@webserve.iu.edu, replacing account with the name of your account. Hit Enter. When prompted, enter your account password. You will be at the command prompt. You may now use Unix commands to work with your account. This is document bfob in the Knowledge Base. Last modified on 2018-10-30 14:59:21.